Jada Chicken Salts come in many different varieties, and offer so many new options for your dinner table! Here, the Barbecue Blend and Red Pepper Blend turn ordinary roasted potatoes into a quick, zesty side dish, the perfect accompaniment for your next weeknight dinner. Try different herbs to compliment the delicious Chicken Salt blends. Preheat oven to 425°F. Prepare rimmed baking sheet by lining with foil. 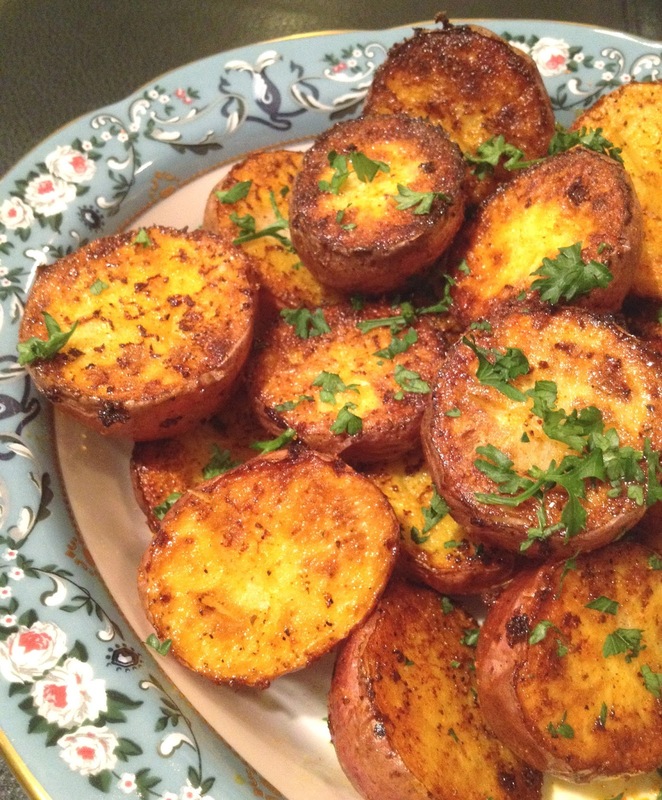 Place potato halves on baking sheet, and drizzle with olive oil. Sprinkle with Chicken Salts, thyme, and black pepper. Toss to coat evenly. Arrange cut side down on baking sheet. Place in oven and bake for 10 minutes. Carefully turn each potato half over, rotate pan, and continue baking until just fork-tender and evenly browned, about 10 minutes more. Remove to serving dish and sprinkle with parsley and additional seasoning, if desired. Gonna make these potatoes this weekend! Will let you know how they turn out. Sooooo excited...so is my hubby!